Our Wolfenstein: The New Order walkthrough will guide you through the beginning to ending moments of gameplay with strategy tips for this first-person shooter on the PC, Xbox 360, Xbox One, PS3 & PS4. Wolfenstein: The New Order is a fictional story set in an alternate universe in the 1960’s. The Resistance has gathered and the time to rise against the Nazi’s is upon us. Only war hero B.J. Blazkowicz is violent enough to set history right. Let’s start the Wolfenstein: The New Order walkthrough with an introduction video! Please note that viewers must be at least 18 to watch, so no harm comes to those with innocent eyes. This game includes Blood and Gore, Intense Violence, Strong Language, Strong Sexual Content, Use of Drugs. Intense, cinematic and rendered in stunning detail with id Software’s id Tech® 5 engine, Wolfenstein sends players across Europe on a mission to bring down the Nazi war machine. Infiltrate their most heavily guarded facilities, battle high-tech Nazi legions, and take control of super-weapons that have conquered the earth – and beyond. 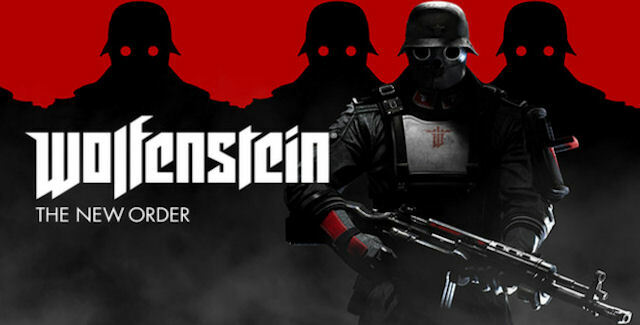 Wolfenstein is under development at MachineGames, a studio comprised of a seasoned group of developers recognized for their work creating award-winning games. Let’s explore this new world and blow up some robots & other high-tech weaponry. Tip: Explore the environment to find useful items and valuable secrets. – Useful items are often found inside crates. Bust open crates using melee or ranged weapons. B.J. and Anya make it into Berlin, but the secret police is right on top of them. Tip: Takedowns cannot be performed on heavy soldiers as they are protected by thick metal armor. After a daring escape from prison, B.J. & company find the resistance smack dab in the center of Berlin. Tip: Consult the map to find the location of your next objective. Wolfenstein: The New Order Walkthrough continues on Page 2 with Chapter 6: London Nautica.